"Reproductor multimedia rápido y fácil de usar"
Me gusta VLC porque reproduce multiples formatos como MPEG-2, MPEG-4, H.264, MKV, WebM, WMV y Mp3 de forma rápido y nítida sin ningún problema permitiendo apreciar la calidad de los videos. También porque me permite ejecutarlo en cualquiera de las plataformas disponibles como Windows, Linux, Mac OS X, Unix, iOS, Android, etc, logrando que se pueda percibir los archivos de audio o video en cualquier momento según la plataforma que tenga a mi alcance de manera rápida y sencilla. Es completamente gratuita. Además me permite crear y agragar nuevos skins e instalar extensiones que le agragan funcionalidades que otro reproductores no tienen, dando mayor vistosidad y personalización a la aplicación. Una de las características que más me agrada de VideoLan es que de código abierto y puede ser modificable en su totalidad. No hay ningún detalle de VLC que no me guste, ya que cumple con tos las expectativas que tenía sobre su funcionamiento o rendimiento. Es una excelente herramienta para reproducir archivos de video o audio de cualquier formato en cualquier plataforma. Puedo reproducir todos los tipos de videos en cualquier plataforma o formato permitiendo asi un rendimiento eficaz. "The media player I can count on the most"
The media player is lightweight and downloads quickly as a computer and phone application. It can play lots of different video and audio files without the need for special codecs or other extensions. If there are files that don't play by default, I can usually find the necessary configurations by looking at the extensive online forum threads. The controls on the VLC player give me good control over how I want videos presented. I can change aspect ratios and crop the screen to suit my needs at the time. There was a looping issue where I would set custom dimensions by hand, but when it came time for the video to loop, the aspect ratio would reset. Also, I tried using the VLC to stream content and followed the instructions perfectly, but I ultimately wasn't able to get the stream to load at all. VideoLAN has been a solid software development company that has managed the VLC for years and I think the player is still considered to be one of the best for file versatility and playback quality. You can make your life easier by using this player for you video and audio playback needs. This media player has been a very dependable player that I can use for video playback at presentations, conferences or anywhere I need to play video. I can also use it play multiple video or audio files by adding them to a playlist. When I watch video for research, I can easily take screenshots from right within the app instead of using the standard Windows method of copying the screen image and having to paste it into an image editor. "the most optimal player on the market"
Several problems have been solved in the company, most of all, as presentations to the marketing staff, therefore it is evident that the tool for managing the day-to-day work of the department is easier to administer. Question that integrates all kinds of advice and improvement for the company. I have been using VLC since the first versions and it is simply impressive to see how much the application has improved since then, even then it was the best player and although now there are good alternatives it is still a very stable application and able to play any video file without need to install additional codecs. Technically the application is light, its CPU or RAM consumption is incredibly low and in all this time I have hardly crashed while viewing content. One of the best things that this application includes is the ability to play content directly from a virtual medium or from the network itself just by copying the video link. One of the negative aspects that the application has and that is missing with respect to the competition is the possibility of looking for subtitles online for the movie or series that you are playing, SMPlayer has been including this option for a long time that is tremendously useful for not losing the time looking for subtitles through the network. Really if you are looking for a quality video player you only have 2 options and VLC is one of them. Especially I recommend the VLC player if you want to play files that contain the H265 video codec because there is no other player that implements it so well. I needed an application to play files that supported the new codec with H265 video compression and of course VLC has reproduced without problem the file but also there is no delay or lag in the video. CPU usage is also kept low while other applications trigger its use when playing h265. Lo que mas me gusta de VLC, es que hasta el hasta el momento no he encontrado un formato de audio o video el cual no pueda reproducir. Es bastante ligero y ocupa muy poco espacio en disco luego de instalado, a diferencia de muchos otros reproductores multimedia que ocupan gran espacio y no brindan las mismas características que ofrece VLC. VLC me permite tener un control global de todo lo que reproduzco en el, bien sea agregar subtítulos, sincronizar audio con el video, etc. VLC otorgas un sin fin de funciones y características que ni siquiera sabia que podría utilizar o necesitar. Puede ser totalmente personalizado a gusto de cada usuario de manera fácil y sencilla, con miles de pieles o skins que se encuentran disponibles en la web. VLC es un reproductor sumamente útil y que sencillamente no dejaras de usar una vez que lo pruebes. A veces algunos videos pueden reproducirse con algunos errores aun cuando el archivo se encuentra en perfectas condiciones, no se si es un bug o algo en mi equipo, pero tiende a suceder de vez en cuando. Mi recomendación es que lo descarguen y lo prueben, en realidad no pierden nada, ya que al ser una aplicación de código abierto, no tiene costo alguno. Con VLC estoy seguro que podré reproducir cualquier archivo de video sin necesidad de agregar complementos o extensiones que solo ralentizan mi computador. "Best for all video formats"
This is one of the best media software i have come across. The best thing about this software is that it allows you to view the video along with editing the video such as its dimension, color, zoom capacity, geometry of the video. The toggling options of this software while viewing the video is also easy. The overall built of this software is very accessible. It keeps on asking for a lot of software update. Sometimes it irritates a lot when the dialog box keeps on popping to update the software. Other than that the software overall is very good. Anyone who wants the ease of using any video viewing software then this is the best of all in the market. I am using this software to view the educational video which are related to my study program. The biggest benefit of using this software is that while viewing the videos such as tutorials then it has a feature to increase the playback speed of the video which allows you to complete the course really really fast with good understanding. The other benefit of this software is that if the video capture in any media device is in a different orientation then while playing the video on this software you can change the geometry by using the function such as rotation or transform to view the video in the proper orientation so that now you don't need to worry about the orientation while capturing. The other benefit is that you can increase the volume of your device beyond the 100% limit which really helps to hear the low sound effectively. "VLC your best option to watch videos"
I like vlc because it is a video player quite easy to use, and also VLC is able to compile several formats ASF, AVI, FLV, MP4, Ogg, Wav, MPEG-2 (ES, PS, TS, PVA, MP3) , MPJPEG, FLAC and MOV., And is managed in many operating systems such as Windows, Apple Platform, GNU / Linux, android, among others, which is an advantage for me since I use android phone and I can download from the store applications the VLC app for this system, one of the things that I like most about this player is that I can play, convert, broadcast and record content from my computer or from the Internet. Another thing that I like about this reproductor is that I can raise the audio a little more 100% since when downloading movies from the internet sometimes do not have good audio or the audio is very low then VLC gives me an increase of an extra positive percentage that gives me an excellent audio. Maybe I was a little disgusted is the basic and simple appearance that it has. Learn to use VLC to the maximum advantage that is a free tool and with many things to contribute. When working with video over IP VLC helps me to verify video multicas only connecting my computer to the shitch and opening vlc placing the routing protocol and multicas of the service that I want to verify, in the same way I have also been able to verify multicas of complete frames of several services of 36 megawatts of bandwidth. Also when I have to show some video about any technology that I need to show in my office, getting it through vlc is the best. "King of king video king Videolan king of video software till now among any video software. " Any type of file .mkv,.aac,.cd etc any type of file this software run as well as edit equalizer for slow volume laptop and full view video show in desktop as well as laptop .all of are enjoying using this software .Here subtitle adjustment is there that is good for anyone who using subtitles for show video. time by time it improvement as we think but more issues are there such as when we use in laptop in 100% more volume in this software this software damage our laptop speaker .and as well as i am when trying save playlist all my favorite songs that does not hold after restart my laptop.That type of issue are there. Videolan software always good for everyone using more year and i love this software graphics all type of file play in this software. Yes,Business problems always solve our corporate life ,when our extra curricular activities and also when client come when we play our activities video in videolan it shows amazing in full view in projector.we are describing our total culture through this. I love VLC because it is a free browser I use it with several operating systems such as android, windows, linux, in short in all my electronic devices, besides this I am surprised by the great amount of reproduction formats that video lan provides me. I really like the option to record any video that is playing at the same time, super effective. Videolan really seems like a great player, but if something we can improve it would be its appearance, since it is very simple and simple. I recommend videolan without a doubt, save yourself those bad moments where you can not play your videos, and feel safe to live that wonderful experience. video lan helps me in the moments that I need most to see videos of urgent form that my patients send me, since these can have any format of reproduction and video lan resolves me this type of inconveniences. Es quizás el más simple y fiable de todos los reproductores, es rápido, note intenta instalar plugins o buscar derechos online de autor o letras, como hace el predeterminado por cierto sistema operativo... Es un reproductor limpio, que además, reproduce todo sin problemas, le das sus 3-4 segundos de carga y empieza a reproducir cualquier archivo de vídeo, esté en el formato que esté, eso desde luego es mucho mejor que la competencia, que suele fallar muchas veces con algunos vídeos, del formato mp4, avi o mkv. No le veo pegas, es un reproductos bastante completo y fiable. Simplemente pásate a VideoLan, con este nunca tendrás problemas de reproducción de vídeos, podrás ver todos los vídeos que te manden sin necesidad de recurrir a otros o de convertir de formato el que no puedas ver. Me lo recomendaron en el trabajo, que cambiara el wmp por este y efectivamente, estoy mucho más contento que con el otro, el wmp, este reproduce todo sin problemas, antes había vídeos que no podía ver porque fallaba, ahora ya no, ahora puedo ver todos los vídeos que me envían sin problema alguno. Es capaz de leer cualquier cosa y cualquier formato, lo mismo te lee archivos en línea, retransmisiones en directo, vídeos que no te reproducen otros reproductores (a pesar de tener todos codecs instalados), en definitiva, es un gran programa, al que no muchos le dan la importancia que debería, en mi opinión es el mejor y con diferencia, WMP por ejemplo apenas tiene la mitad de opciones de reproducción que Video Lan, en la empresa ya todos usamos Video Lan, hemos abandonado Windows Media Player, puesto que nos han dado muchos problemas de reproducción en programas, a pesar de tener los codecs instalados. Quizás la interfaz podrían mejorarla un poco y modernizarla, porque desde hace 10 años que no se cambia y queda un poco desfasado, sobre todo cuando estás trabajando en un Windows 10 con tanto efecto de material design, pero son cosas menores, se le puede poner interfaces propias. Con él no os tendréis que preocupar sobre formatos o archivos, aunque por si acaso, instalad Codec Lite. Pues como he dicho en los pros, windows media player nos fallaba archivos que debería de leer, pero Video Lan no ha fallado nunca, así que nos hemos quedado con este programa. "The best option to play multimedia files"
- The best caracerística, is that it reproduces all audio and video formats: (mp3, ogg, wav, avi, mkv, mp4 and many more). - You can play internet streams and also play network files from other computers. - It is open source and free. - It is very easy to use: all employees use it without problem. - You do not have to download any external codec to make it work. - An exclusive feature of videolan is the ability to double the audio volume twice. This helps us to listen to videos that have been recorded with a very low sound. - Possibility of integrating subtitles and other languages to video files. - It is in continuous improvement with periodic updates. - It is very light and easy to install. - The interface could be more modern. It looks like a program from the 2000 era. - It is the best video and audio playback software. Lightweight, with a basic and fast installation, without external downloads and with very complete functionalities for reproduction. - You can improve audio and video to make it clearer or better heard. - Lo utilizamos para probar todos los videos que cortamos y montamos. Tambien para hacer las presentaciones de los videos a los clientes. - It is one of the first programs that we installed in our company, since with it we can reproduce 100% of multimedia files. With this, we save time in downloading codecs and other auxiliary programs to reproduce all the files. "Excelente reproductor de video y audio adaptado a los nuevos tiempos"
Es un reproductor multimedia gratuito y de código abierto en constante desarrollo. Está disponible para un gran parte de sistemas operativos existentes, además en múltiples idiomas. https://www.videolan.org/ y eligiendo y descargando la que corresponda a nuestro sistema operativo. Lo mejor de videolan es que consume muy pocos recursos y es compatible con prácticamente el 99% de los formatos de video y audio que existen, con la comodidad de que la aplicación descarga lo que le haga falta para que el archivo multimedia se pueda reproducir. Es muy sencillo hacer listas de reproducción o incorporar otras de otros programas ya existentes. También es muy útil como se integra dentro de la red local en la que esté instalado, reconociendo automáticamente de los dispositivos multimedia disponibles. Existe la posibilidad de utilizar múltiples "pieles" aunque su instalación es complicada al no existir un manual o tutorial adecuado para ello. Sería bueno tener un manual o algún tutorial para poder sacar partido a la gran cantidad de características que la aplicación posee. He utilizado videolan muy a menudo para reproducir videos en la realización de cursos o prácticas asociadas a mi profesión. Por su puesto también en mi tiempo de ocio tanto para mi ordenador personal como para mi smartphone. "Amazing player for videos, functional and flawless"
An amazing player, opens all kinds of formats with great speed, even large ones, and in a fluid and stable way, contains many customization options and on top of that with free version, is the one that I use daily by default in all my computers even in android devices. I recommend it both to companies, students and home users, as it is versatile, easy to use, convenient, free and very fast when it comes to reproduce any format. We use it as a default player, also its video and audio synchronization function, we love to correct some errors with this type of bugs, includes it in its tools and is very useful for videos with delay.
" special player for our video files"
I like that this gives me the ability to work from home or while out of the building, while leaving my phone in the office. I am a counselor, so sometimes the voicemails I receive are time sensitive and require immediate responses. This gives me the ability to listen to voicemails whenever I need to. The only quality I somewhat dislike about this software, is there are sometimes issues with connection and I do not receive the emails as timely as I would like. Great for having the ability to keep in contact while out of the office. This software gives us the ability to be a truly virtual school and work from multiple locations while still being confident in our abilities to stick to a mandatory 24 hour response time to clients. "Good video and audio experience"
VLC is a multimedia player very customizable and does not require installation. You can download the portable version and it will not take up any space on your computer. It is a program that allows you to view videos and also play music or any type of audio. Subtitles can be added, can be edited and manipulated. For example, it can be retransmitted or run to synchronize with the video. The program has many features and options and it is not necessary to do facilities besides codecs or plugins to complement the program. Play all kinds of files. Video quality is excellent, both high and low qualities. You can add live video url and view them through the video player. I do not like that the interface of the program is so little taken care of. It's an excellent program, I think it would be good to take a little more care of aesthetics. If the video occupies many GB, the program stops responding. I think that being a video, it should support large files. It goes without saying, that may influence the type of pc you have. We use VLC in our company to play, visualize and listen to videos and music. We have installed this program on all computers because it is a very reliable and high quality program. Never fail We use it in our daily lives as well as during meetings or presentations with our clients. "Fantastic video and audio reproductor"
- It can open any type of audio or video file. - It is not necessary to install codecs or other add-ons for both audio and video playback. - The quality of the image is very good. - Subtitles can be added and can be delayed or advanced to coordinate with the image. - The volume of the sound is adjustable and can be increased more than the system allows with the equalizer. -The interface is very old-fashioned. - You have to be patient to learn how to use the program because it has many advanced options. - Not suitable for beginners. -We use it in our company to open any type of audiovisual archive, both audio and video. -All employees use this software because it is the best we have found on the market and it is free. - Especially we like that there is a portable version so the installation of the program is not necessary and we save memory on the hard drive. "The king of multimedia players"
-It is the best multimedia player in the market without any doubt, cause it plays all audio and video formats, including high definition and online streamings. - It does not need knowledge to use it. - It does not need knowledge to use it at a basic level, but it has many extra features such as: improving the image or sound, equalizers, entering or manipulating subtitles ... it has infinite possibilities! - The installation is very simple. It occupies very little disk space and does not install hidden software. There is no need to download anything external, since everything is already included in the same installation. - I find almost no flaws in this program, maybe the interface could be more modern, but this would affect the weight of the program. - At work we have it installed on all computers. It is essential. It is capable of playing any audio or video file, so it is not necessary to have different programs to do this task. - Sometimes we also use it to play files on the ethernet network, saving the need to transfer them from one computer to another. "VideoLan: The All in One Media Player"
VLC is a free and open source multimedia player that plays most multimedia files as well as DVDs, Audio CDs, VCDs, and various streaming protocols. It is completely Free and does not contain any spyware, ads, and user tracking. It runs on all platforms like Windows, Linux, Mac OS X, Unix, iOS, Android. It can play most codecs with no codec packs needed. VLC has the most complete feature-set over the video, subtitle synchronization, and audio-video filters. You can add skins or Create skins with VLC skin editor. It is able to stream media over computer networks and to transcode multimedia files. It allows you to easily upload your videos in different playlists so that you will be able to watch them back to back. Till now I don't find any difficulty in using VLC media player. It is easy to use and can play all format of audio and video files. 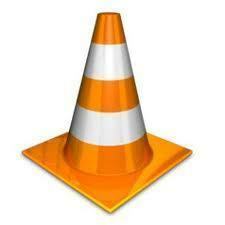 I highly recommend everyone to install VLC media player because it is user-friendly and has easy to use interface. It supports many audio and video compression methods and file formats, including DVD-Video, video CD, and streaming protocols. You can play any media format with VLC media player. Switch to it, I bet you won't regret it. I personally use VideoLan as the primary media player. It helps me to stream with my co-workers without lagging. VLC supports all audio and video formats. It helps me to play high-definition recordings so that I can easily show my videos to clients and co-workers. "Much easier and quicker to use than Quicktime"
Sometimes the video is too long and it takes VideoLan a bit to load the video properly. If I zip through it too fast, then the video will freeze or buffer. Then I need to close it and start it again. "La calidad no tiene precio"
Mucha gente piensa que el éxito de este programa se debe únicamente a que es gratis, pero obviamente esto no es así. Que sea gratis puede ayudar a que la gente lo instale en su ordenador, pero si el programa no es bueno, esa misma gente lo desinstalará con la misma facilidad. Así que la razón por la que muchos tenemos Videolan como principal (o único en mi caso) reproductor, es que es un gran programa. Soporta todos, o casi todos, los formatos que existen en el mercado. Yo no he encontrado un archivo de vídeo que no haya podido ver en Vlc. Es extremadamente fácil de usar, se puede mejorar y personalizar con plugins descargables. Y estas son las verdaderas razones por las que hay un cono en casi todos los escritorios de ordenadores y otros dispositivos (porque existen versiones para todas las plataformas: Windows, Android, Linux, Mac,…). Con el paso de las sucesivas versiones y gracias a esos plugins mencionados, ya no es solo un simple reproductor. Las versiones más recientesde este software también permiten realizar capturas de pantalla, o emitir en streaming, por ejemplo. Solo tienes que descargarte un simple archivo, que no contiene ads o programas adicionales, e instalarlo, para poder disfrutar del que posiblemente sea el mejor reproductor de audio y vídeo del momento. No veo motivo alguno para no hacerlo. Tanto en el entorno empresarial como doméstico, siempre es una ventaja poder disponer de la mejor tecnología al mejor precio (gratis). "No hay archivo que se le resista"
Este software es capaz de reproducir casi cualquier tipo de archivo, sea cual sea su extensión, Videolan te permitirá verlo. Desde hace años es la referencia de su sector, y el reproductor de vídeo y audio imprescindible para millones de usuarios, incluido yo, que lo utilizo desde hace ya muchos años sin que me haya dado ningún problema reseñable. Su uso es de lo más sencillo: si lo tienes configurado como tu programa predeterminado para ver videos y audios, solo tienes que hacer doble clic sobre un archivo, y el programa se abrirá y comenzará la reproducción; si no es tu programa predeterminado, solo tienes que ir al menú “medio” y a “abrir archivo”. En ambos casos no tiene complicación alguna. Además VLC también permite grabar lo que ocurre en tu pantalla y emitir vídeos en streaming, por ejemplo. Y todo ello de forma totalmente gratuita, ya que no cobran nada por el programa, y ni siquiera incluyen publicidad o componentes indeseados. No es fácil decir algo malo de este programa. Tal vez podrían mejorar un poco la versión para móvil, que siendo buena, no llega al nivel de la versión para ordenador. Es sencillo de usar, muy eficaz y gratis. Difícil encontrar algo mejor. Más que nada, consigue ganar tiempo, o más bien evitar que se pierda, al ser un programa que no suele fallar. Si se necesita ver algún archivo, sabes que no tendrás problemas, y que no tendrás que andar buscando alternativas. "The best Media tools the era has ever seen"
VideoLan has many products which include open-source projects like VLC media player VideoLan Movie Creator and many professional tools like DVblast Multicat and x264. The best thing about VLC media player is it supports all the formats including the .flv and .dat. It contains all necessary codecs required. Switching over to VideoLan Movie creator is the non-linear editing software using libVLC under terms of GPLv2. Moreover to that it also provides students an internship opportunity at Google Summer of Codes. it is cross Platform based on VLC Framework and accepts almost all formats and the most important aspect that is cost.....oh common its totally FREE. The multicat is a package which contains all tools to easily and eefficiently manipulate mulicast streams in general. Nothing can be completely perfect, VideoLan has tried to include all the features but it should also focus on broadcasting directly to YouTube and other broadcasting platforms. I have used VLMC(VideoLan Movie Creator) for making post-wedding shoots and VLC is used y default for media streaming. Este programa se puede decir que lo tiene todo, y no solo porque sea capaz de reconocer y reproducir cualquier archivo de audio o vídeo que podamos tener, sino porque además resulta que es totalmente gratis. No se le puede pedir más. Incluso puede reproducir vídeos que no están completos, y aplicar efectos de vídeo y audio a los vídeos que quieras ver. También es muy útil la opción de convertir el formato de los vídeos por si quieres verlos en otros dispositivos (como tu smartphone, por ejemplo). Y si quieres aumentar la calidad de visionado de los vídeos de Youtube, puedes descargarlos directamente y verlos con VLC. Aunque su función principal, y la que lo ha convertido en el reproductor preferido de muchos usuarios (como yo), Videolan también puede grabar y emitir vídeos en streaming, o hacer capturas de pantalla. En definitiva, uno de los mejores (sino el mejor) reproductor del mercado. A veces (poquísimas) se queda "colgado" al reproducir algún archivo, pero se reinicia y suele solucionarse. Nada importante. Nadie da más (prestaciones) por menos (dinero). Es muy fiable y sabes que no va a fallar. Así solo necesitas tener 1 programa para verlo todo. Desde hace tiempo Videolan es el único reproductor de vídeos y audios que utilizo, puesto que es compatible con todos los fomatos que utilizo: mp4, flv, etc. Pero no solo es un reproductor más. Con los años este programa ha ido incorporando características diversas entre las que podríamos destacar, por su utilidad, la función de convertir archivos de vídeo y audio a distintos formatos, de forma que no tienes que instalar software adicional para esta tarea. También puede grabar o hacer capturas, entre otras muchas cosas. Como ves VLC sirve para casi todo, y es uno de esos programas imprescindibles. Como se suele decir: no hay que confundir valor y precio, y un programa puede ser gratis como Vlc y ser de lo mejor del mercado. Evita tener diversas aplicaciones para realizar una misma tarea. "Mi único reproductor de vídeo"
Después de haber probado unos cuantos, puedo decir que para mí este es el mejor reproductor de vídeos y audios de cualquier extensión (mp4, mkv, wmw, flv, ...). Es fácil de usar, ligero, y además es gratis. A los programas para realizar actividades sencillas, lo que hay que pedirles es que no creen problemas innecesarios, y habiendo usado en miles de ocasiones VLC me sobran los dedos de una mano para contar las incidencias (solventables además) que me ha ocasionado. Si necesitas ver vídeos sin complicarte la vida, este es tu software (no se queda colgado, no te ofrece actualizaciones continuas, no te "invita" periódicamente a donar,..., como hacen otros: cuando quieras ver tranquilamente una película, no surgirá ningún imprevisto. Alguna vez me ha dado algún pequeño problema al añadir archivos con subtítulos, pero nada importante que no pudiese solucionar de inmediato. Por facilidad de uso, fiabilidad y precio (es gratis) deberías elegir VideoLan. Reconoce casi todos los archivos de audio y vídeo, así que evita tener que usar distintos reproductores en función del archivo que se quiere ver. "Best platform for media playing"
Vlc supports many formats of video and audio files.Vlc is free to download and easy to use thus anyone can utilise it. Vlc does not allow adding additional software that has highest chances of viruses making it virus free. I dislike that when using Vlc I cannot download videos. Also when playing 4K in vlc I get hiccups and glitches which results from software decoding difficulties and lack of hardware support. If you are looking for the best media playing platform, vlc should be your first consideration. In the past whenever I wanted to advertise a product it was difficult to display an advert in form of a video but now with vlc I can make as many video advets as I wish. "The best free video player out there!" I have been using this video player for over 10 years now and I have to say it's my go to movie player for all my videos. I stopped using Quicktime and windows media player because they were more difficult to use or they could not play all the files that I had wanted to play. This one is super useful and you can add subtitles to your movies when you have the subtitles files. Most of the time, this product is used for personal use, but whenever I need to play a video that isn't already on YouTube for work, I download this player. There are options for video filters, video corrections, and audio filters. So far, there is nothing I have disliked about the VLC media player. Everything has been smooth sailing. VLC media player doesn't burn or rip CDs but that can be expected since it's just a media player. If it did, then it would be a more complete audio/video software. This software easily beats out QuickTime, Windows Media Player, WinDVD, etc. We are using it to play interviews we have recorded at work. The benefits are that this software is quick to download and works flawlessly everytime! "Free video player that is essential for either Windows or Mac users"
VLC is a free open source video player. It plays any format that I throw at it and has many options in the preferences to customize it to your liking. I utilize the hotkeys a lot when watching videos and can create playlists. There are times I need to play video footage at a different speed. The playback controls are hard to use since you aren't given the option to specify the speed, such as 1.5x or 2x speed. I also watch video frame by frame quite often since I use videos as reference for animating and there is no way to by backwards frame by frame, only forwards. Go through your preferences especially hot keys so you can customize the player so that you can watch videos more efficiently. The ability to play many formats whether it be video or audio in VideoLan player. By solving these problems, I've saved time from having to download or use numerous applications. I can avoid having to switch between different programs. "Pretty awesome Open Source video Player"
It can play just about anything without needing to convert it first. It is fast and efficient and can even re-encode video files into a myriad of different formats (great for quick format changes). It can also screen record your screen and record from an external device such as a camera or capture device. And it's networking tools, though I'm not an expert, are pretty powerful. It is Open Source (meaning its free forever) which means it has a ton of extra plugins, support forums, and customization opportunities. Though I've never used it for this, I've seen and been told that is can be used as a media library organizer as well (like an iTunes replacement). Deployable (or portable) versions have been allowing the program to run on external drives like USB drives and CDs. Not really much else to say, it really does what it says on their website and does it well, for the most part. It needs some extra functionality, better interface, and fewer bugs. It still can't play some video files, nor can it play swf files, which I would really, really like. It also is kind of intimidating to new users as it has no "introduction" screen or anything like that (not that it needs that though). Make sure you read up online if you need help. It allows us to play, record, and preview older video file formats that we get from clients without cost or struggle. "Mi reproductor predilecto para ver series y peliculas"
VLC media player es sin duda el mejor reproductor del mercado, debido a su alta compatibilidad con muchos formatos de audio y video. Tambien cuenta con las cualidades de poder editar muy generalmente la calidad y el formato de cada archivo aceptado por dicho software. Muchos de los otros reproductores sufren muchos contratiempos con formatos de video o con adición de subtitulos, con VideoLan, olvídate de los problemas para subtitular lo que ves, pues este reproductor se especializa en ser rápido y con muy buenas características. Es un reproductor de mucha competencia aunque cuenta con algunas debilidades notables, como ciertos problemas de auto-cerrado del software y también se puede apreciar que deja mucho que desear la visión del diseño de interfaz. Pudiese tener actualizaciones gráficas mas seguidas y más influyentes en el proceso de reproducción. Si sientes que tu reproductor convencional tiene muchos problemas para proyectar debidamente tus videos y que necesitas una herramienta útil con fácil acceso a subtitulo y con muchas características funcionales, cámbiate a VideoLan. Videolan es un producto hecho para disfrutar de audiovisuales y también para aprender un poco acerca de formatos y procesos de reproducción. Con este software puedo decir que deje por completo los reproductores por defecto y ahora ha mejorado mi experiencia a la hora de reproducir videos enviados por compañeros de trabajo o socios. "Truly Seamless Mobile Media Player: Video, Music & Word Docs - on any device"
Our challenge was our own technology is designed to capture video content sharing from any device. Mobile devices are small screen relative to PCs/MACs and the mobile market demands speed,esp. since so much of mobile is WiFi. Any buffering at all and our audience will just stop sharing, stop viewing and move on... They also demand being able to view/share that video content "mid-view" and to start viewing on one device that would be able to continue at the exact point they moved over to another mobile device. The windows media players we were using could not adapt. VLC itself originated in France and is open source but you can license for commercial use and get the developer support for any customization you may need too. We did, then tested the end-user experience which was 99.999% flawless! Our VLC player "installs itself" even in the heterogeneous environments of PCs. The player install, being our customers 1st experience with our video content, assured them that moving from 1 device to the next would be as seamless, and it was! There's just no other truly seamless mobile media player than VLC. The end-user experience is everything when choosing a mobile media player. We've had zero problems using VLC and it's lightning fast, easy for our development team to upgrade and the global teams constantly developing this are the best in the world. A year and a half ago, while we did build a MAC version of our VLC media player, building anything on an iPad is a totally different skillset. So we did have to wait several months for the iPad version, largely due to Apple's challenges around getting their latest iOS stable enough to develop on, though, which really wasn't anything our developers could do about..
Set client expectations when Apple upgrades as the global VLC dev teams will always take several months to integrate, largely because development there is extremely complex. VLC is open source, so though there are many brilliant developers making great contributions, the testing still takes time. So, now that Steve Jobs is gone, Apple's release don't appear to be as flawless and even the extremely talented VLC developers struggle with figuring out integration. VLC truly does deliver a seamless mobile experience, lightning fast! We needed the most seamless multi-media player on mobile devices we could find. we had been working with a WIndows media player but for smaller mobile devices our video content was buffering. Our target audience is impatient, and adoption was an issue. This was actually our first experience with VLC, and after literally 1,000's of test deployments with anyone we could get to try it for themselves we got 99.999% installs without any tech support calls and 100% of those viewed the full length of the video content we sent out which included moving between devices. Each time the video would stop right, then restart at the exact point it moved to the next device. "Calidad en reproducción de vídeos"
Es un reproductor totalmente fácil de usar, ademas de ser gratuito que es lo que me gusta mas. Ademas posee gran cantidad de codecs de vídeo permitiendo reproducir cualquier tipo de vídeo, es rápido y ligero al reproducir, no distorsiona las imágenes ni mucho menos el sonido. Lo que no me gusta es que su interfaz es antigua, sugiero que para futuras versiones mejoren la calidad de vista, añadiendo temas y colores. Por lo general no tengo ninguna critica negativa por esta maravillosa herramienta. Se recomienda por ser uno de los mejores reproductores de vídeos, contiene cantidad enorme de codecs de vídeo por lo que es capaz de reproducir cualquier formato. Es fácil de usar y muy rápido al ejecutarlo. Y lo mejor es que es gratuito. En la empresa tiene múltiples usos, como en las salas de conferencias para reproducir vídeos de interés alguno, se reproducen grabaciones de conexiones remotas realizadas para llevar un control de seguridad, en las salas de vigilancia y áreas de entradas para supervisar la llegada y salida del personal. "It is not only a good media player!" You can play almost every type of audios and videos , in whatever environment , may be mobile, desktop , windows , linux etc. You can also live stream videos from internet using VLC. You can also play videos from youtube , vimeo , facebook , by pasting the link in 'open network stream' secion in media. It has a lot of customization , full screen feature , codec information , wallpaper setting feature , taking a snapshot, while playing a video. You can also share the screen with other people in your network. To use this, just do little googling. 4K videos are not played smoothly in VLC. Although you can convert videos to audio or in different video format , but can't download the music. I am a regular user of this application , I find it useful everytime. Best Video Player . I highly recommend it for using it as video player , music player , Online Streaming , Screen Sharing , Equalizer. It is a free and open-source software , due to which every now and then , some useful features are random people over the world. It has an in-built equalizer , to customize the music as per your needs. "Free video player compatible with multiple operating systems and formats"
It is free software, it is free. Aesthetically it is ugly, although it has skins for all tastes. despite being a veta version for now it is a pretty good and complete software, despite being very simple and presenting a simple design, it has many useful and efficient tools for the work it performs. "VLC the program of multiformat!" VLC is a player that uses since we discovered something curious, and we had a lot of codecs and we could reproduce any format that we wanted, it is a header program that is not missing from my computer, and that we dedicate to the video editing I have of strange formats and this is the only one that can against that. I recommend 100% this tool, I have been using it for a while, it is very practical and it can not be missing from a computer. I do not know if I am making a very powerful statement but until now there is no format that escapes!, so do not hesitate to use it. VLC started using it in a stage where I used flv and 3gp formats that no other player could read, over time I realized that it was always the program that had the solution in rare formats, so at the time that I can not visualize something, I always resort to it. Este reproductor es muy simple, rápido y poderoso, que te permite reproducir la mayoría de archivos multimedia, así como DVD, Audio CD, VCD y diversos protocolos de transmisión de manera fluida y a la mas alta calidad posible. Ademas es una aplicación es completamente gratuita, admite casi todos los formatos de archivo sin necesidad de descargar códecs adicionales. y se ecuentra diponible para multiples plataformas como lo son Windows, Linux, Mac OS X, Unix, iOS, Android . VLC es un reproductor multimedia libre y de código abierto multiplataforma y un «framework» que reproduce la mayoría de archivos multimedia, así como DVD, Audio CD, VCD y diversos protocolos de transmisión. ademas es una aplicacion muy ligera y facil de usar. Y lo que la hace mas atractiva es que es Completamente gratis - sin software espía, sin anuncios y sin seguimiento de ususario. es un software ligero y facil de usar y ademas Reproduce todos tipo Archivos, discos, cámaras web y flujos. y ademas Reproduce la mayoría de codecs sin paquetes de codecs necesarios - MPEG-2, MPEG-4, H.264, MKV, WebM, WMV, MP3..
"El mejor reproductor de video"
VLC permite abrir prácticamente cualquier formato de audio y vídeo sin la necesidad de utilizar ningún tipo de codec o extensión, con VLC puedes reproducir un vídeo proveniente de cualquier plataforma sin limitación alguna, ademas de ello en caso que sea necesario puedes añadir los subtitulos correspondientes en el idioma que desees dado que con agregar solo el archivo .txt sobre el reproductor este lo reconoce y lo sincroniza con el vídeo que está reproduciéndose. La gran gama de formato que permite hace posible que cualquier usuario pueda reproducir sus vídeos sin ningún tipo de restricción de manera muy sencilla. Como todo programa con licencia GNU tiene ciertas limitaciones, la principal es que el algunos casos es inestable para la reproducción de ciertos formatos, sucede mucho con el formato MP3 donde el programa se laguea y no permite reproducirlos, además de ello sucede algo muy particular, a diferencia de otros reproductores de música y video, no es posible crear listas de reproducción, así que cada archivo tiene que ir reproduciéndose manualmente y de forma independiente, lo que para algunos usuarios puede ser bastante molesto. Pienso que VLC es un software que todos deberíamos tener en nuestra computadora de escritorio y tablet, puede ser que un día queramos ver o reproducir algún formato de video viejo o poco conocido y no podamos, pero con la cantidad de formatos que permite VLC nunca vamos a tener ese problema. VLC nos ha permitido investigar información sobre el manejo de proyectos y el financiamiento dado que en muchos casos estos vídeos son creados en formatos poco conocidos como FLV y el software los reproduce sin ningún inconveniente, ademas de ello, la posibilidad de añadir subtitulos apoya en muchas ocasiones el entendimiento de explicaciones y ejemplos mostrados en los vídeos en una lengua extranjera. "VideoLan is good but unattractive. " I like how easy VideoLan is to work. All you have to do is drag and drop video files to the software and they will start playing. I also like how VideoLan remembers the videos that you have played in the past and saves them on a playlist for you to watch again. I also like how VideoLan works with many different file types. The thing that I dislike the most about VideoLan is that the interface is horrible. It is not appealing to the user and seems disorganized. I would like to seem more options for saving videos in different categories such as file type. I also don't like that some of the open source settings can be hard to figure out. VideoLan is easy to implement so you can see if it will work for you. It is worth giving it a try. I mainly use VideoLan as a primary media player. VideoLan is beneficial because it is compatible with almost any media file type. Reproduce prácticamente cualquier formato de archivo multimedia que le arrojes. Codifica las transmisiones de salida. Reproduce radio por Internet y TV, se trata de software gratuito que además está apoyado por un competente equipo de profesionales que se esfuerza día a día por sacar nuevas actualizaciones. no tiene efectos psicoacústicos como Trubass o iTunes Sound Enhancer, así que cuando el sonido lo requiere, cambio a Windows Media Player. La compresión, el ecualizador y el espaciador disponibles en VLC reducen demasiado el volumen en la configuración predeterminada y son demasiado complicados para la mayoría de los usuarios. Como todos los usuarios del sistema operativo Windows terminan por averiguar tarde o temprano, el reproductor multimedia integrado en dicho sistema, el Windows Media Player, este abre los archivos correctamente, sin dar ningún tipo de error, otra de las ventajas de este programa es la gran variedad de formatos de archivo que es capaz de soportar, lo que le convierte en uno de los reproductores más completos del mercado. Cubre todos los formatos principales de audio (.mp3, .wav, .flac, .ogg etc.) y casi todos los de vídeo (.avi, .mkv, .mpeg, .mpeg-2, .flv, .mp4, etc.). Un reproductor de medios versátil y gratuito que admite más formatos de archivos de video, puedo grabar y transmitir audio de diferentes videos, que realizo para presntacion con los diferentes clientes..
" I use it normally"
"excellent video player very complete"
VLC Media Player is the new free video player compatible with both Windows and Linux, Mac OS X, BeOS, BSD, Pocket PC and Solaris. It is capable of playing all formats of embedded video, audio, and video and subtitles and, in addition, allows you to see and hear any file you find on the Internet without having to download it to the computer first. It has several codec libraries that allow you to see all the existing file formats, except for FRAPS, RealMedia (.rm) and RealMedia Variable Bitrate (.rmvb) There is also the portable version of this program, which allows you to always carry it in your USB memory without having to install it on any computer. "VLC is one of the best media players. " VLC is compatible with almost every file of video. I have not found a video file that will not work with it. I get a lot of video file from different clients and they are never in the same file formate. VLC makes it easy for me watch the files they send me. I also like how you can store your files in a media library. There is not much that I dislike about VLC. Sometimes I don't like how it will same your video file in the playlist. This can get confusing when I am trying to watch a group of video files back to back. I also don't like the internet section of VLC where they have radio and streaming directories. This seems like a pointless feature. VLC is compatible with almost every video file. It is defiantly worth looking into if you need a good video player. Video file viewing and converting. Vlc supports many formats of audio and video files.Vlc is virus free as it does not allow adding additional software that has high chances of viruses.It is free to download and easy to install. Vlc has worked best for me so far although what I dislike is that I cannot download videos using it. It also has playback problems when playing DVD. If you are looking for a platform that will play good video and audio files,you should consider videolan. Videolan has helped us a lot in our organization especially when advertising where we find it necessary to display our advert in form of a video or audio therefore reaching wider market. You have almost no need to install codecs for all different kind of multimedia files. I like useful tool to repair videos, grab frames and turn them in png files, video effects live. i like that you can stream live cameras into a projector or quickly open a dvd movie. It also offers a lot of additional plugins that can add features. Another great feature is that it comes for Windows, OSX, Linux and Android. Also the vlc team makes other applications like the skin editor and tv channel manager !! Maybe the only thing that could be better is the gui interface design that seems a bit old. Another small part of the software that i can comment is that, sometimes, additional plugons are not as updated as the latest software or sometimes they run on 32 or 64 bit only. When you add too many of them the program may result a little bit ustable. VideoLan is a great software, that's it!! IT replaces whatever media player you can use, it is compatible with multiple file formats and most important it has a lot of tools to work with multimiedia files. It can convert files to different formats, repair some features. You can grab frames from videos, play live camera contents. We can display videos in class, attach a camera and show contents live. Teachers at school can easily switch from a dvd movie presentation to an attached camera live streaming. "VLC is the best for playing back video"
VLC is the top video playback program that I use for all my videos. I know that if VLC does not play the video then the video is not compatible and may have a codec issue or it's something non-universal and that I would need to troubleshoot the video rendering. If something does not play back correctly you can adjust settings that allow for better playback. Nothing that I dislike come to mind as you do have a number of system editing tool available but a couple times that 4K video does not play back correctly would be from Apple products in which a Windows codec is needed to be downloaded to make it work correctly. Many different types of videos are needed to be played at my work and a lot of them have odd codecs that could cause playback issues. VLC usually is the best player to test these with at my work. It will play most all videos back fine. "Open Source, Highly Capable Media Player and Converter"
VideoLan or VLC Player is a versatile media player - of all the standard video players, including DVD. But it's also an excellent converter, capable of encoding one format to another, for example, converting a file to MP4. There are versions for desktop, but also a phone app (I'm using the android version), and here, again, it's a versatile audio and video player. I play a lot of mp3 (audio) and mp4 (video) files on my phone, and I've found it to be stable and reliable. The interface could be a bit more intuitive - the desktop version can require a bit of poking around to find certain features, or even know where they are located. I also need to learn a little more about filters and other processing that are applied by default to video playback (I prefer un-"enhanced" playback of video, just as many of us prefer flat playback of audio without "helpful" EQ). If you're looking for reliability, versatility, and the knowledge that you have a robust support community, then I recommend you try VideoLan. It's a capable player and converter that should be part of your audio and video toolkit. If you find you can't properly playback media with another piece of software, then reach for VideoLan VLC, you'll most likely be pleased to find that it plays your file flawlessly. VIdeoLan provides a reliable, open-source staple program for video playback. The knowledge that there is a robust open source community behind it instills confidence that it will be around and well supported because it has such an excellent following. As I work with video and audio, myself, I appreciate it as an additional production tool, at least for format conversion with a lot of control of the final export. * We monitor all VideoLan reviews to prevent fraudulent reviews and keep review quality high. We do not post reviews by company employees or direct competitors. Validated reviews require the user to submit a screenshot of the product containing their user ID, in order to verify a user is an actual user of the product. Hi there! Are you looking to implement a solution like VideoLan?